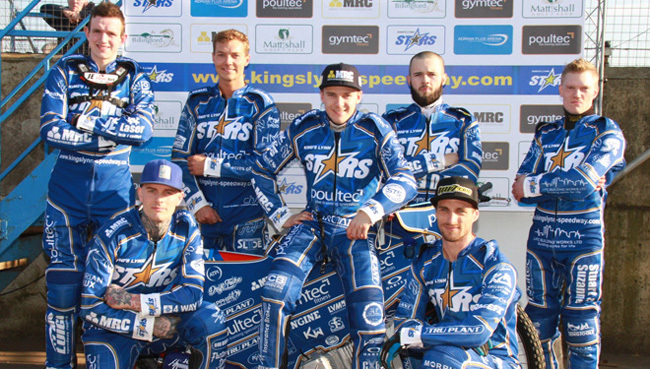 On the back a new team sponsorship, the Poultec Stars can now oficially welcome Debbie Bales, wife of Poultec’s Ed, on board with added corprate backing at the Adrian Flux Arena. And Debbie Bales said: “I took over the running of Mattishall Golf Course and Billingford lakes in the past year from my late father Basil Todd. These companies work well alongside Ed’s companies and his training company. “Mattishall Golf Course is located just 200 yards up the road from Poultec and Gymtec in Mattishall. It is a nine hole golf course but can be played as eighteen holes which is ideal for beginners but also proves challenging for the more experienced golfer. “The newly refurbished clubhouse provides changing facilities along with licenced lounge bar serving hot and cold drinks and snacks. “The sun terrace overlooking the course provides an ideal environment to relax after your round. Our restaurant Café Verde at Poultec provides hot meals for the golf club either on site or at the restaurant at Poultec. “Billingford fishing Lakes are located between Dereham and Norwich, just off the Fakenham Road (A1067) and are the ideal location for your next fishing trip in Norfolk. “The fishing lakes vary in size and each have shallow marginal shelves and depths ranging from eight to twelve foot out from the bank to a 30 yard cast. “Species include Roach, Perch, Eels, Pike, Tench and Bream throughout the lakes, Common and Mirror Carp in the 10-25lb bracket can be found. Some 35lb+ specimens have also been reported with a 40.5lb Mirror Carp caught in June 2016. “There is a one mile stretch of the beautiful River Wensum runs through the site and ranges in depth from two to six foot. Chubb in the 3-5lb range are most prolific but the river is also home to Dace, Trout, Pike, Roach and Barbel. Plans are now underway fora a visitor centre, caravans and camping and lodge accommodation on the site.